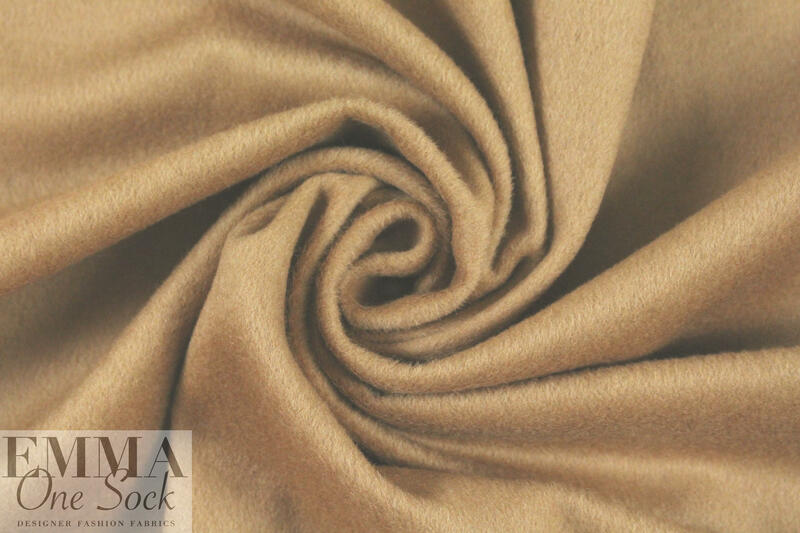 This gorgeous luxury medium weight coating fabric is a wool and viscose blend, combining wool yarns from Australian and New Zealand with viscose fibers that add durability. 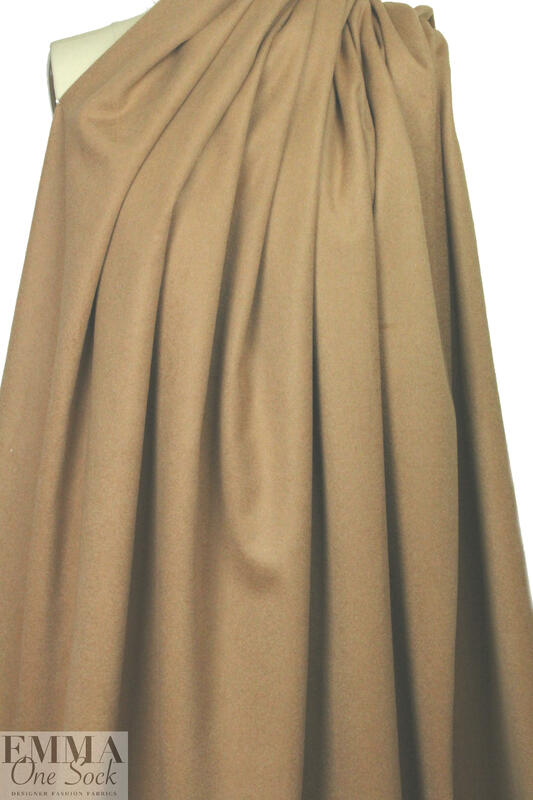 It feels like cashmere with a wonderfully soft hand, and the drape is soft with some body. 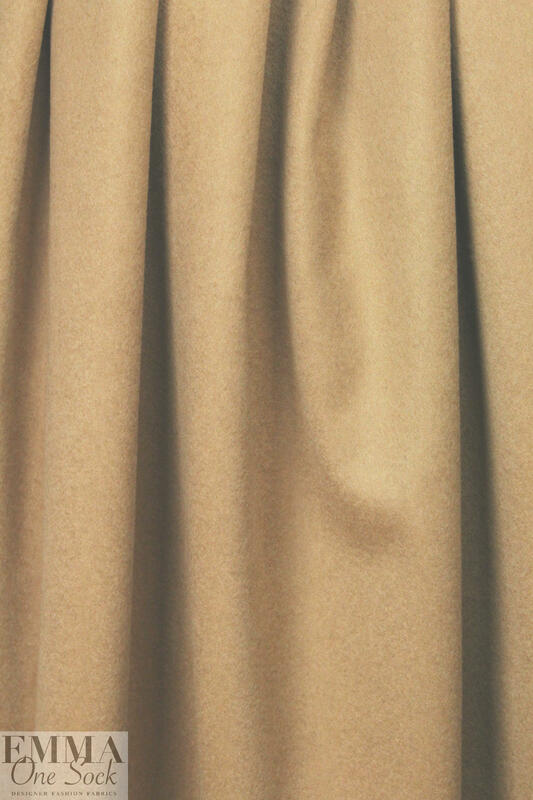 The color is a classic camel (PANTONE 17-1328 is close). It has a nap so should be cut all in the same direction. Make a gorgeous coat or jacket that you will cherish for years! Dry cleaning recommended.